With the UK in the middle of one of its longest heat waves in living memory, many of the nation’s drivers are suffering under a pool of sweat. 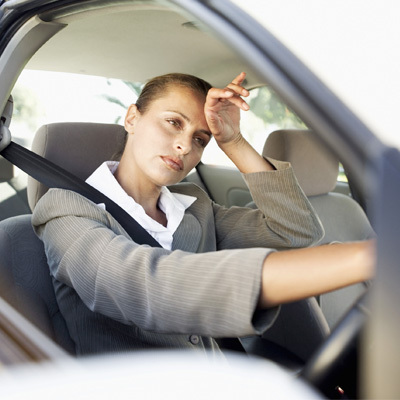 Sometimes the air-con is never quite right, or the windows cannot be opened, so what can be done to cool your car down when the interior temperature has reached boiling point! Luckily, one of Britain’s biggest motoring organisations has issued some great advice to cool your car down if temperatures are soaring. 1) Fan the interior - it said: "Open both the windows on one side of the car, then 'fan' the interior by swinging a door on the opposite side back and forth. Providing you're not worried about potentially looking a bit weird, repeat this open-close motion at least three times to help expel the hot air. Leave the sunroof shut if the car is parked outside in sunlight, though." 2) Switch on the air conditioning, correctly - the emphasis being on the word correctly, there. The RAC said: "Captain state-the-obvious has arrived, but just in case you didn't already know... Start the engine and switch the air conditioning to its coldest setting. If your car offers the option, select the 'external' air setting (the symbol on the switch usually shows an arrow entering the car), rather than air recirculation (a circular arrow). The air outside the car will be cooler at this point. Open all remaining windows, as the air-con system will take a few minutes to become effective." 3) Use the lower air vents - it said: "Heat rises, so it makes sense to blast the cooler, air-conditioned air into the footwells, forcing the hot air already inside the car upwards and out of the open windows. Shut off the upper vents on the dashboard and at the base of the windscreen so that the full flow of air into the car is directed upwards." 4. Keep the windows open - according to the RAC: "Start driving but keep the car windows open for a minute or two to let all the hot air escape - do this until the air from the vents feels cooler than the outside temperature. Unfortunately, most people's commutes involve sitting in traffic, which won’t help air circulation." 5. Close the windows and switch to recirculated air - the final advice from the RAC: "Once the air conditioning is blowing cold, close all the windows and switch to (pre-cooled) recirculated air. You can now open the upper air vents and adjust the flow as required. "More advanced 'climate control' air-conditioning systems allow you to set and maintain a constant temperature within the car." If you want to chill in an air-conditioned car this summer then check out MotorDepot's wide range of vehicles with the very best in in-car comfort.